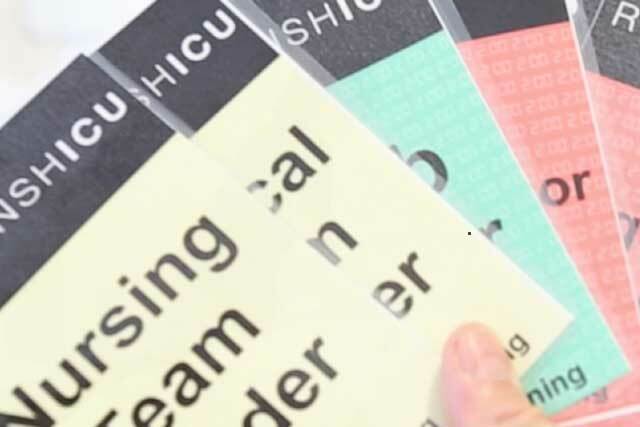 We run weekly interprofessional in-situ simulation training in the RNSH ICU, in a bed-space in the middle of the working unit, during working hours…. Sim Training takes place every Tuesday at 11.00am in The Northcare Simulation Centre (otherwise known as bed space 10 in ward 6E). We meet in the debriefing room between wards 6E and 6G. Simulation is a well-recognised and increasingly common educational tool for healthcare professionals. It is educationally effective; improving performance of technical and non-technical skills (1). 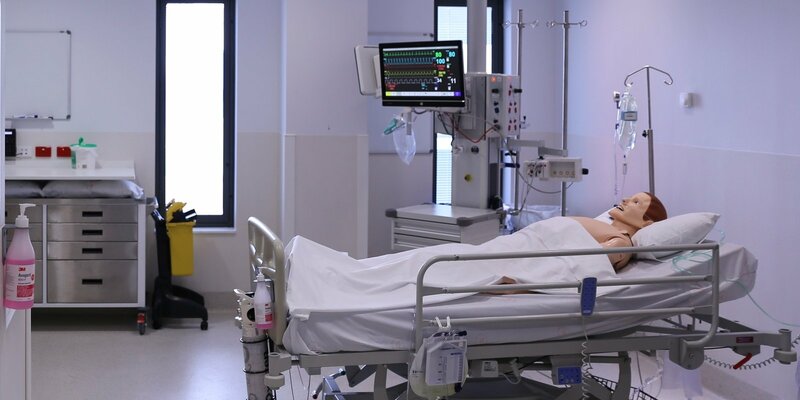 Doctors and nurses also enjoy simulation training: in the latest CICM trainee survey, it was rated in the top three teaching methods, and the vast majority of trainees were keen for the College to create courses to address technical and non-technical skills. Traditionally, simulation training has occurred in specialised centres, which offer a variety of courses aimed at healthcare professionals. These courses are usually expensive, involve taking study leave and usually do not provide team training: doctors and nurses tend to be trained separately and practitioners often end up training with strangers. In recent years, simulation training has been brought into the workplace. In 2005, Weinstock et al described how they took simulation training into various parts of their hospital using a mobile cart (2). Since then, this type of training, known variously as ‘point-of-care’, ‘in-situ’, or ‘mobile’ simulation, has gained momentum. As a result, several simulation programs have been set up in ICUs around the world. In-situ simulation occurs in the normal working environment, using normal workplace equipment. Healthcare professionals act in their normal roles, in ‘intact, interprofessional teams’, during normal working hours. These factors are thought to enhance realism and validity, improve working relationships, and decrease the anxiety that some practitioners associate with traditional simulation training (2). Feedback from our program and others reveals that participants enjoy training with staff from other disciplines, and gain insights into each other’s roles, skills, knowledge and attitudes. Scenarios can be tailored to reflect local case-mix and critical incidents, and site-specific system errors may be identified. You do not have to leave the workplace or get study leave. And its free! For more information on in-situ simulation see www.mobilesim.wordpress.com. We very much hope that all nursing and medical staff will want to be involved in Sim training on a regular basis. 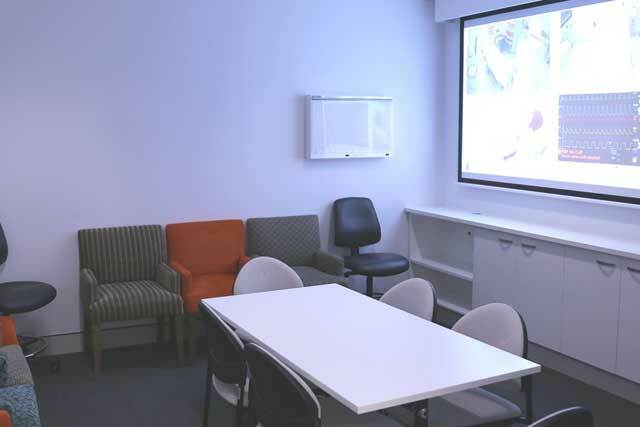 We understand that some of you might be anxious about simulation training, but we can assure you of a safe, friendly and supportive learning environment. We have some ‘ground-rules’ for training and an agreement that we don’t discuss the scenarios after the session. This is so people do not comment on each other’s performance but also so that we can use the scenarios again! The ‘ground rules’ also establish the signs you might be expected to find in the manikin and those you will be told. Technical skills are practiced and clinical knowledge revised, but training sessions can also emphasise non-technical skills or ‘human factors’ such as situational awareness, decision making, task management, team working, communication skills and calmness under pressure. These skills are increasingly being emphasised in crisis management and life support training, and human factors training (also sometimes called ‘Crew Resource Management’ or CRM training) is being included in many undergraduate and postgraduate curricula. 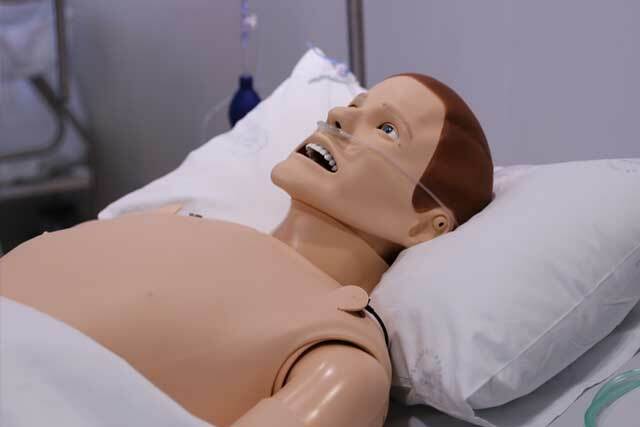 We are lucky enough to have a high-fidelity manikin (Laerdal SimMan Essential) called ‘Ned’ in our Sim space. He has a full set of pulses, breathes spontaneously, has heart, lung and abdominal sounds and can even talk and cry. We have a state-of-the-art audio-visual system so that we can watch scenarios remotely (from any computer terminal in the ICU and on the big screens in the radiology and conference rooms). This means you don’t have a crowd of people watching from the doorway, so the scenario feels more real. It also means we can record scenarios for viewing later. 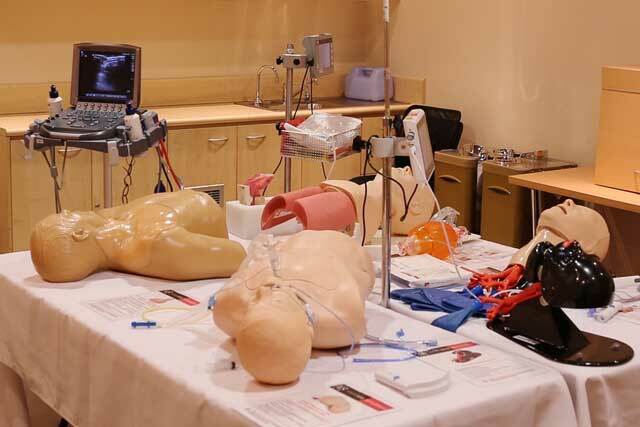 We also have a range of part-task trainers for many procedural skills such as airway management, bronchoscopy, and the insertion and aftercare of tracheostomy tubes, chest drains and central lines. We hold regular skills workshops using these trainers. This is a new initiative designed to improve the performance of the team in a crisis, like when the cardiac arrest alarm goes off in the ICU. It involves the rapid allocation of team roles and then the performance of a few key tasks during the first two minutes of the response. This can have a major effect on how the team performs during the rest of the crisis (3), and we will be assessing how it affects some patient-centred outcomes such as time to defibrillation and return of spontaneous circulation. We always have a non-threatening, relaxed debrief at the end of the scenario, where we discuss the learning points issues raised. We often concentrate on teamwork and communication; known to be vital for good patient outcomes. This is often where most of the learning takes place. We give (and receive) formative feedback here, which, according to the educationalists, is one of the top two strategies for enhancing learning (the other one being active participation) (4). We ask for feedback from all participants and observers so that we can keep improving the training. Please give us honest feedback, and suggestions for improving the training are always welcome. Donaldson, L (2008). Safer Medical Practice: Machines, Manikins and Polo Mints. Chief Medical Officer’s Report 2008, 49-55. Weinstock PH et al. Simulation at the point of care: reduced-cost, in situ training via a mobile cart. Pediatric Critical Care Medicine 2005; 6: 635-41. De Vita MA, Schaefer J, Lutz J, Wang H, Dongilli T. Improving medical emergency team (MET) performance using a novel curriculum and a computerized human patient simulator. Quality and Safety in Health Care 2005;14: 326–31.